The mission of Life University’s College of Chiropractic, centered on the Vertebral Subluxation Complex, is to educate, mentor and graduate skilled and compassionate Doctors of Chiropractic to be primary care clinicians, physicians, teachers and professionals, using the University’s Eight Core Life Proficiencies as their foundation. Woodstock Massage Therapy provides experienced and licensed massage therapists. 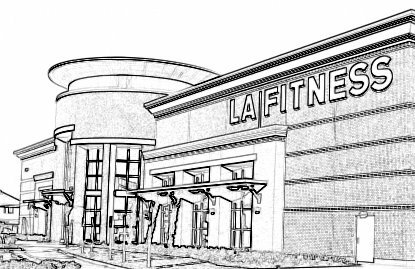 The caring and friendly staff is ready to serve you in a clean, safe, and comfortable environment. 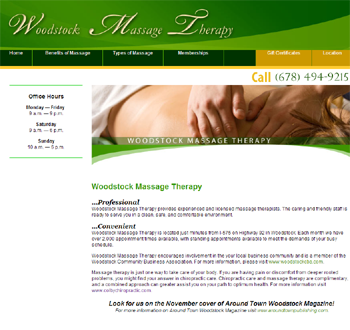 Woodstock Massage Therapy is located just minutes from I-575 on Highway 92 in Woodstock. Each month we have over 2,000 appointment times available, with standing appointments available to meet the demands of your busy schedule. Massage therapy is just one way to take care of your body. If you are having pain or discomfort from deeper rooted problems, you might find your answer in chiropractic care. Chiropractic care and massage therapy are complimentary, and a combined approach can greater assist you on your path to optimum health.